No one is ever prepared for the nightmare that comes when someone you love goes missing. As the Left for Dead investigation shows, families can wait decades without knowing what really happened. On television, police shows tell us that cold cases can be solved in under an hour; in real life, police and coroners may not have the tools, time or expertise to pursue a case where clues are few – or nonexistent. By taking the steps below, you may improve the odds. Have other suggestions? Contact me at gwschulz@cironline.org. Ask police and other law enforcement agencies in the area where you believe the person disappeared to help you file a missing persons report. Provide as much detail as possible, including any medical or dental records that could help establish an identity if a body is found. Ask that case information be sent to the FBI’s National Crime Information Center and the National Missing and Unidentified Persons System. Also ask if the agency takes DNA swabs from family members to compare with the DNA from unidentified human remains, or if it accepts personal possessions from the missing person that may contain DNA, such as a toothbrush. Federal law requires that police send reports of missing children to the FBI, so you can ask police to make sure this happens. If you believe the missing person may be dead, ask if the coroner or medical examiner can take a DNA sample from a family member or the person’s belongings to be compared against the DNA of any unidentified remains. Here’s a list of offices and professional organizations that represent medical examiners and coroners in the United States. If the person missing is a minor, call the National Center for Missing & Exploited Children, financed by Congress to help locate missing kids. The group’s 24-hour hotline is 800-THE-LOST (800-843-5678). Here’s a quick reference guide that, among other things, recommends securing a child’s computers and other belongings that may contain evidence of his or her whereabouts. If the child is suspected of having run away from home, contact the National Runaway Safeline, also created by Congress, which is a 24-hour hotline focused on at-risk and homeless youth. The service describes itself as confidential and nonjudgmental, with a goal of developing a plan for easing youth out of dangerous situations. The telephone number there is 800-RUNAWAY (800-786-2929). Groups like Texas Equusearch organize teams of volunteers to help search for missing people by horseback in remote areas. 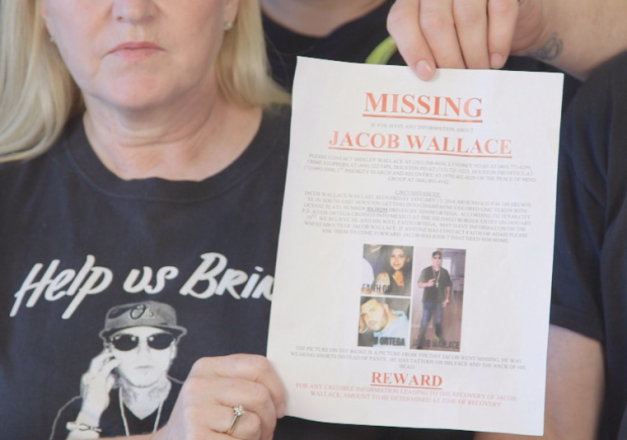 The Polly Klaas Foundation in California will help make and distribute fliers with information about a missing person. The Association of Missing and Exploited Children’s Organizations website includes a list of nonprofits that may be able to provide assistance in your area. Also known as NamUs, this database was launched in 2007 with Justice Department support to better match reports of missing people with the unidentified dead. If you’re unsure whether police have sent NamUs your missing persons report, you can upload the case information on your own once you have a police report number and a missing persons report. 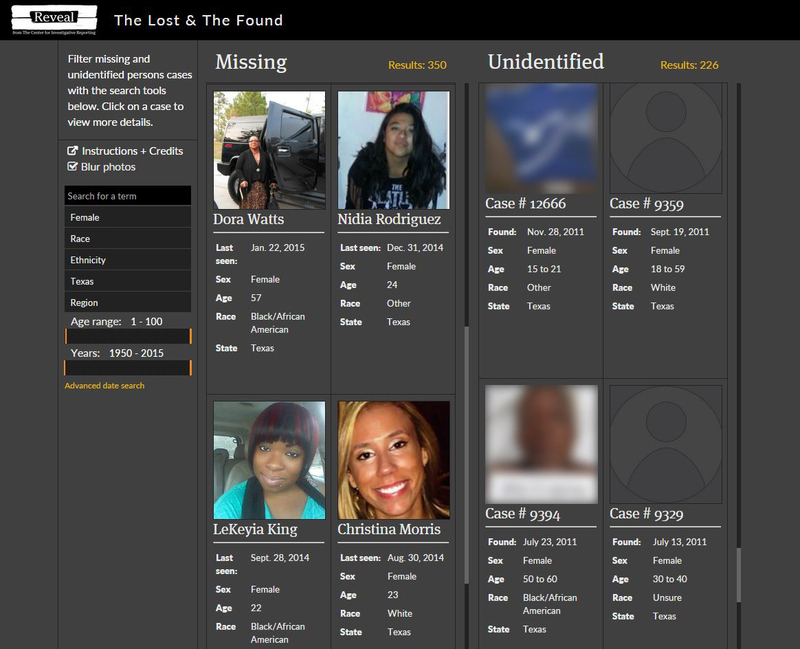 We’ve created an online tool using available data from NamUs called The Lost & The Found that allows the public to search and compare the two groups – the missing and the unidentified – in one window on mobile devices and computers. We also have included a way for you to suggest possible matches, and we’ve outlined what your next steps should be. This office offers information about possible financial assistance and a list of state agencies that receive federal funding for providing crime victim services. As our investigation shows, there are some 80,000 people missing on any given day. Details about the remains of more than 10,000 unidentified dead are collected in NamUs. But reporting to the system is voluntary. Often, few clues and the passage of time contribute to delays in solving these cases. On sites such as Websleuths.com and DoeNetwork.org, communities compare notes about ongoing cases and help each other search for new clues across the Internet.